Live or die. Her or Moretti. The time is now. The worst has happened: her mark is on the run. But Special Agent Lara Grant has no clues. No destination. Just fear for those she loves and bone-deep belief that he's coming straight for her. But she knows Moretti …just as he knows her. And when the final clue clicks into place, the hunt is on. 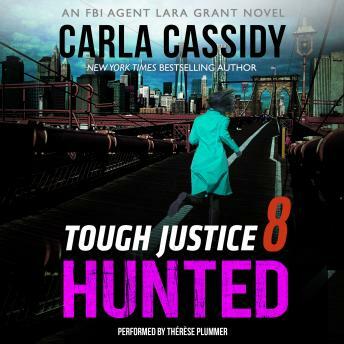 Part 8 of 8 in the chilling, high-octane FBI thriller TOUGH JUSTICE from New York Times bestselling author Carla Cassidy and authors Tyler Anne Snell, Carol Ericson and Gail Barrett.